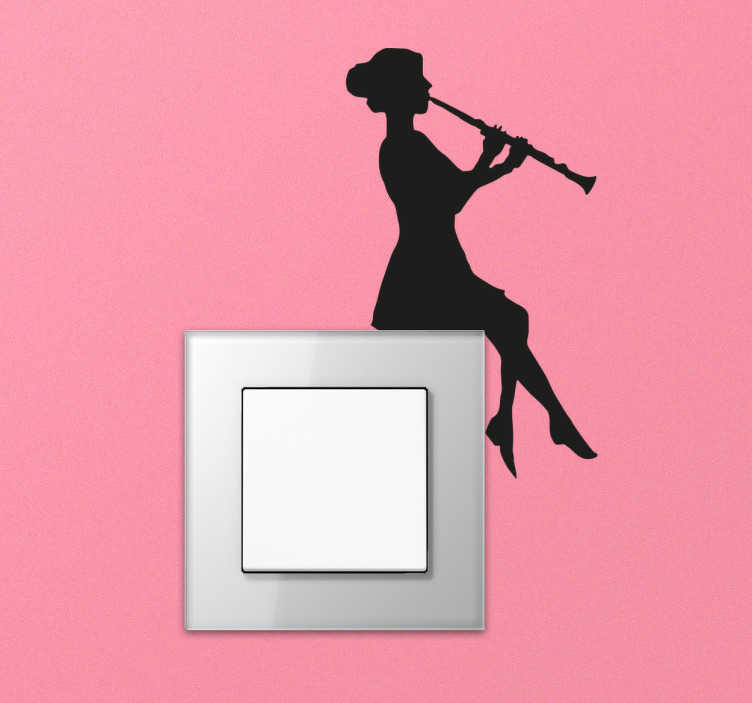 Give your light switches and plug sockets a unique touch with this silhouette wall sticker of a woman with a clarinet. Perfect light switch decal to provide a lovely aesthetic to even the most boring parts of the room. This musical instrument wall sticker is also ideal for personalising your power sockets in a child's room or living room. This design is available in various colours to best suit the wall you apply it to. *Sizes refer to the box itself rather than the sticker.